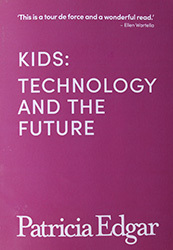 Kids: Technology and the Future. Kids today are a new breed. The information technology revolution has transformed their lives and offers massive potential for their education and entertainment. Creativity, adaptability and emotional intelligence are the key skills they require. We need teachers who can nurture their voracious appetites for learning for this century. We need a responsive industry with innovative thinkers designing content, both for and with them. Peak: Reinventing Middle Age. Society is changing faster than policies and attitudes are keeping up with. People are living longer, retiring from work later, and remaining active and valuable contributors to the community well into and beyond their 50s and 60s. 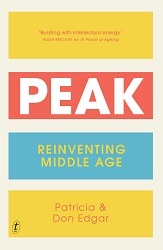 Peak: Reinventing Middle Age focuses on Australians in the 50–75 age bracket: their contributions to society and their needs and expectations for their own lives. It is an insightful look at employment, relationships, education, housing, finances, lifestyles, health and aged care, and the need for reinvention both on a personal level and in terms of social policy. It includes ten short biographies of Australians who have embraced their middle age in a variety of interesting and inspirational ways. They are living fulfilled lives, contributing to their communities and, most importantly, not succumbing to outdated notions of winding down or stepping back from life in this exciting stage of life. 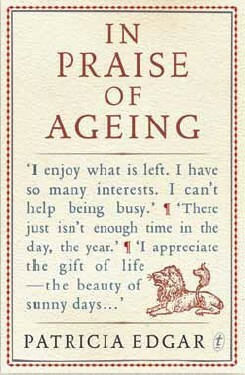 In Praise of Ageing. Retirement is not the time to cut all ties and head off to live in a warm climate but rather to ask: Who do I want to be near? How will my relationships be reaffirmed? What do I care about? What can I create and contribute to the world? Big Fat Porkies and Little White Lies. 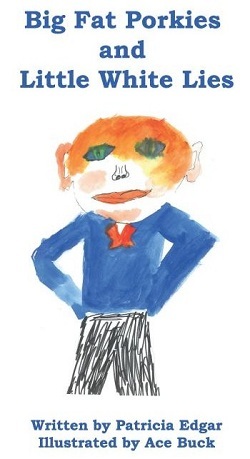 Humorous children's story illustrated by 11 year-old in quirky watercolors. Tim starts telling fibs. He can't work out how his Mum always knows when he lies. Grandma helps Tim learn the difference between 'little white lies' and 'big fat porkies'. The Fairies of Plant Street. 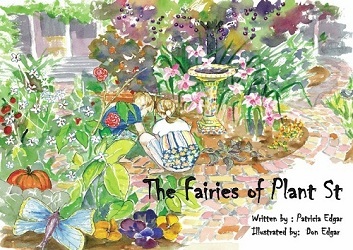 An original children's story by Patricia Edgar based on the actual correspondence between Emily and Ace and the tooth fairies who live in their garden. Gloriously illustrated in vibrant water colors by Don Edgar who has brought fairyland to life. 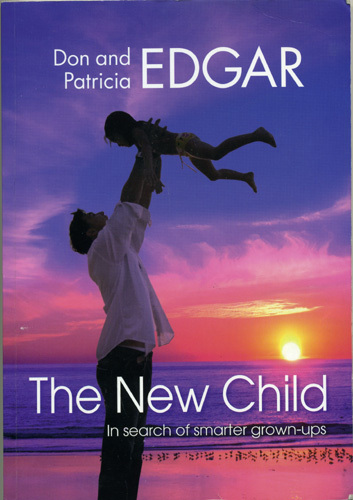 The New Child: in search of smarter grown-ups, (read review, The Age) by Don & Patricia Edgar, is a challenging book on how Australian childhood is changing, and what needs to be done by parents, teachers and policy-makers to meet the needs of the 21st century child. Visit the websites for the World Summit for Media and Children, the summit held in Manchester in 2017, the summit held in Kuala Lumpur in 2014, and the summit held in Karlstad 2010, by clicking on the images below. Dr Don Edgar is an internationally known authority on family change, marriage trends, community development and the work/family balance. His PhD in Sociology from Stanford University led him to teaching at the prestigious University of Chicago in the United States, and at Monash and La Trobe Universities in Australia. In 1980, he was appointed foundation Director of the Australian Institute of Family Studies, where his pioneering research helped shape government policy towards Australian families over two decades. He is a member of the Victorian Children's Council. Dr Patricia Edgar is without peer in Australia as a media researcher, producer of children's television, and policy expert on media. She is the recipient of many awards and the author of nine books. She taught the first film courses in an Australian university and was the architect of the Australian Children's Programme Standards. As founding Director of the Australian Children's Television Foundation she kick-started an industry, producing an outstanding slate of internationally recognized programs. She founded the World Summit Movement on Media for Children, which she chairs.